Now you all know how important it is to pay attention to the small details in this business. There is no room for carelessness when it comes to your music. When sending emails, you need to be professional in order to get the response that you’re looking for. 1. Always put a subject that gives the receiver a clear idea of what’s in the email. 2. Always introduce yourself and be sure to leave your contact info. 3. Don’t CC a bunch of people on the email. 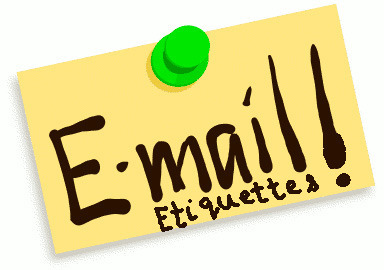 If you are sending it to a few people BCC so that everyone’s email addresses are not visible. 5. Do not send a whole album/mixtape full of tracks. Pick 3-5 that show you at your highest potential and send those. 6. When sending music to a DJ, radio station, etc – always be sure to send the ‘radio edit’ (clean version) first, as well as the explicit version. You don’t want to limit yourself. You want to be able to have your music played in clubs as well as on the radio etc. 7. It’s usually better to send a link to your songs instead of sending an mp3. You don’t want the person to have to download your track before they even hear it. Pay attention to how the sender wants to receive music, some people specifically ask for links. If you are sending to a gmail account, you might be safe sending mp3’s but you are always safe sending links. 9. Always have a pretty clear idea of what you would like to accomplish with that person before you send the email. If you want them to just listen and give their opinion let them know. If you need help with promotion, tell them. Never just blindly send someone music without a goal in mind. 10. Always… ALWAYS proof read your emails before you send. Good grammar is more important than you think! -If you follow these few small steps you will be on your way to getting a much better response!